know, I needed to see if one was better than the other or if they were equal. I had heard that the stick formula was more dewy and a bit fuller coverage. That sounded perfect to me! My skin has not been loving the change in weather and has been on the dryer side of things. I ended up ordering it in VIB sale and it arrived days later. 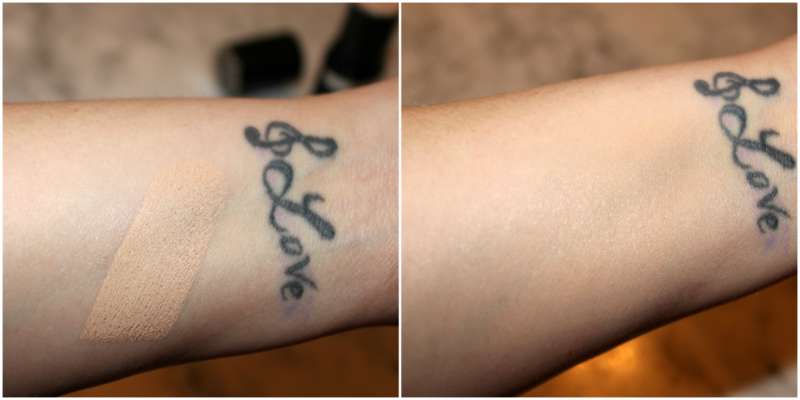 Here are my thoughts on the MUFE: Ultra HD Invisible Stick Foundation. Claims: Ultra HD Invisible Cover Stick Foundation creates a flawless complexion on camera, and to the naked eye. Developed specifically for the film and TV industry's most advanced technology, it is completely invisible under the latest, super-focused 4k lens. The revolutionary foundation contains amino acid coated pigments that provide medium-to-full coverage with a lightweight, second-skin texture that looks just like skin. It leaves a natural-looking, radiant finish, and it’s formulated with hyaluronic spheres for time-released hydration that is perfect for normal to dry skin. Ideal for foundation touch-ups and contouring, it can be applied at home or on-the-go for a flawless complexion. 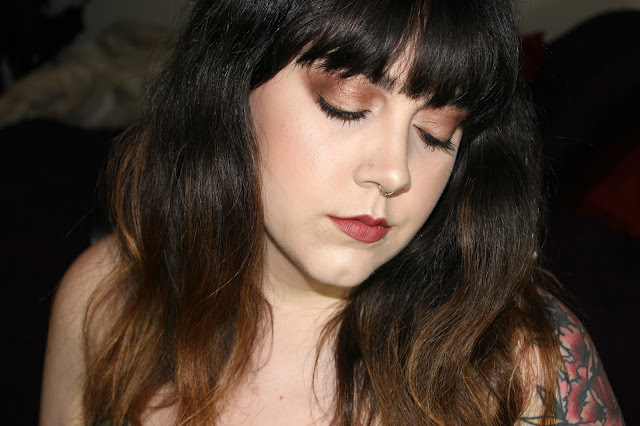 Trying It Out: I always try foundations without a primer first so that I can get a feel for how the foundation holds up alone. Over the next few days I tried it with a handful of different primers to see what worked best with it. I wore this foundation to work and on days off to see how it held up on longer days as well as shorter. I applied it by painting stripes on my face with the stick and buffing it in with a brush or Beauty Blender. Over All: Sadly, I really did not like it. It didn't look dewy on me. Several of my friends asked if I was trying a new foundation, because it "...looks heavier than what your foundation normally looks like.". Not because it was super full coverage and flawless but because it sat heavy on my skin and was noticeable to the eye. I have a few high coverage foundations such as one from Becca and nobody says that then. The fact that you could see the foundation with the naked eye means in HD it would really show up. It also got dryer throughout the day and began to separate. Even when trying to blend it I was frustrated. I had to spray lots of Fix+ on it just to get it to move smoothly. I used this foundation in a tutorial and regret showing it. I had to really use a fair amount of setting spray to make it look dewy. You can see in this up close picture how just after application it looked dry and uneven in coverage. HD does not lie, you can hide nothing from it. I honestly very rarely have this harsh of a review, but I have to tell you guys the truth. I would not recommend this at all. I couldn't even say that it would be good for oily skin types because of how it separated on my nose, which is where I get more oily on long days. In fact by the end of 8 hours the tip of my nose was foundatin free. I was so bummed out. I almost never return things unless they are a complete let down and I did return this. I made an exchange for the Too Faced Born This Way foundation (Review soon, after testing.). My friend also tried this foundation, having used and loved the liquid Ultra HD and found it similarly problematic and was also disappointed. Skin Foundation Stick enough. It looks amazing! Should I do a full review on that foundation? Tell me in the comments. Also have you tried the Ultra HD Invisible Stick Foundation? What were your thoughts? ?